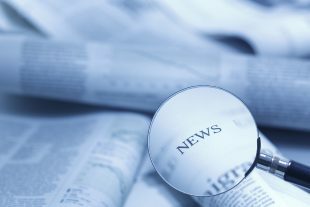 Today’s Education in the media blog looks at new analysis from Universities UK (UUK) and comments on the GCSE reforms. New analysis published by Universities UK (UUK) has found that vocational qualifications such as BTECs are increasingly recognised in university admissions. This has been covered in today’s papers by the Telegraph and I, who say this indicates an “increasingly open” acceptance policy to vocational qualifications. The pieces also report positively that students are getting better A level grades than at any stage in the past six years. We welcome these findings as for too long young people have not had a genuine choice about their future aged 16. While A levels provide a world class academic qualification, many technical education courses can be undervalued and these findings demonstrate a positive change in attitude alongside our important reforms to technical education. Today, Tuesday 5, June, The Times published various letters to the editor on GCSE exams and the gender gap in education. One of the letters is from Geoff Barton, general secretary of ASCL, who says reforms have focused on raising the bar for the most able, but neglect the needs of less able students. Our GCSE reforms represent an important step in our drive to raise standards. These reforms mean young people will be better prepared for the world of work or further education, having achieved a gold-standard qualification that is on a par with the best in the world.